I know who I work for.....YOU, and YOU ONLY.​ It is important to understand when you hire me to inspect a property you plan to own, I am there to inform you in an unbiased, educated manner about the property. I encourage you to be with me during the inspection and ask questions. It's potentially YOUR home, and quite possibly the largest investment you've ever made...YOU should know it inside and out. I will never try and impress you with big, technical words that are only understood by electricians, plumbers, or structural engineers. My goal is to communicate to you the information I find out about your home. All of my inspection reports are emailed in a pdf file, complete with a summary page and several detailed pages informing you of any concerns. I use the highest technology with all of my reports being created with specialized software created specifically for home inspections. Your report will also include digital pictures so you will know exactly the location of each point of reference. 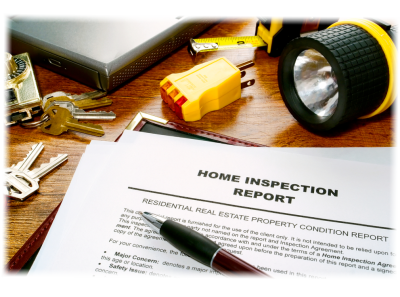 These reports are emailed to you within 24 hours of the inspection. Gotcha Covered Home Inpections is not a franchise. It is owned and operated by Mike Gotcher, and is a solely owned LLC. This allows for a more personal way to perform the inspection for you. Never do I have to worry about a franchisor, or a "third" party. I AM THERE TO WORK FOR YOU.